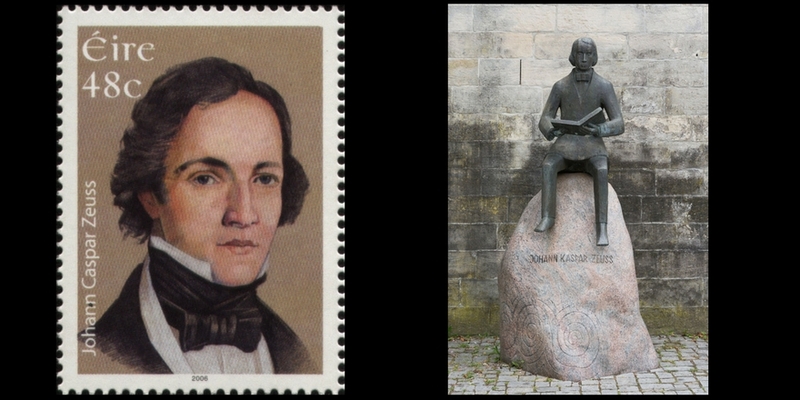 Johann Kaspar Zeuss (1806-1856) is rightly lauded as the father of the modern academic discipline of Celtic studies. 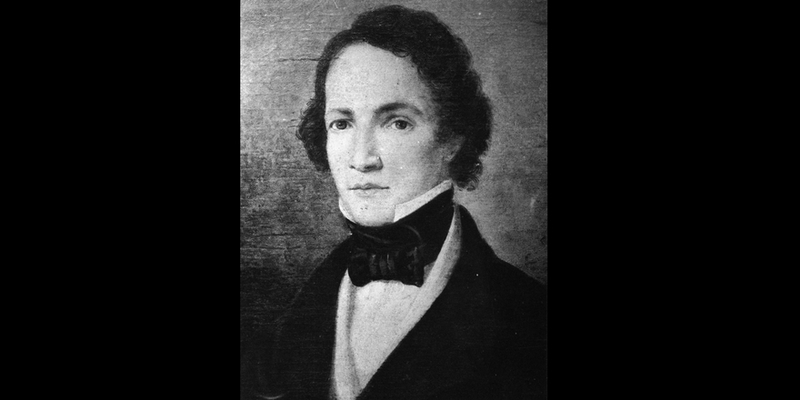 His two-volume magnum opus, Grammatica Celtica, which appeared largely unheralded in 1853, established incontrovertibly through the study of Old Irish sources the relationship of the Celtic languages to the Indo-European family. His achievement is made notable by the fact that such a link had hitherto been only one of many conclusions as to their origin, reached with varying levels of academic rigour, that were doing the rounds previous to Zeuss during the early 19th century. Zeuss' portrait from the Royal Irish Academy's collection has recently been hung in the office of our Foclóir Stairiúil na Gaeilge/Historical Dictionary of Irish, which fitting, if inevitably humbling, event gives us occasion to consider the achievement of this unassuming Bavarian scholar and how he came to be owed so much by subsequent scholarship in Irish and Celtic philology. Zeuss grew up near the town of Kronach, spending his boyhood helping on the farm. He progressed to the University of Munich, where an aptitude in language study is evidenced by his distinguished performance in Classics, Hebrew, Arabic, Sanskrit, Lithuanian and Old Slavonic. 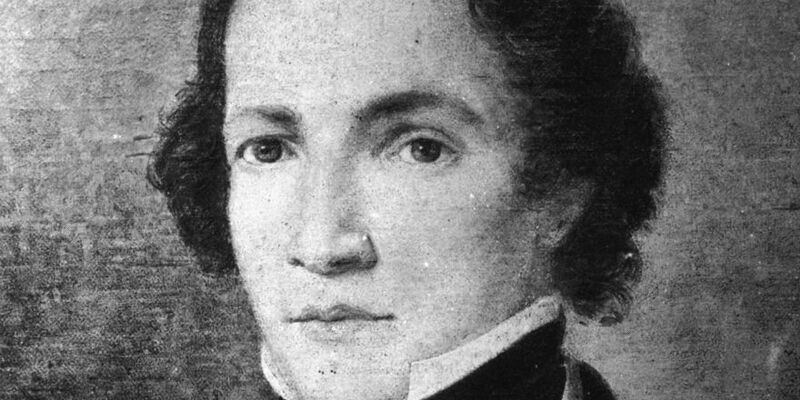 His research interests were initially in history, however, and his 800-page volume on German history, Die Deutschen und die Nachbarstämme appeared in 1837. With it the young scholar's reputation had been established, but was perhaps negatively influenced by a second book, Die Herkunft der Baiern von den Markomannen, published in 1839, in which Zeuss criticised other historians and their attempts to interpret history without the linguistic skills he deemed requisite to deal properly with the historical sources. An academic position in a pre-eminent university did not materialise, despite several applications. The criticism within the book refers most vehemently to scholars who could not discern between Germanic and Celtic words, and it is to be presumed that he had acquired some knowledge of the Celtic languages at this stage. It was to this gap in the knowledge of the situation of Celtic that Zeuss addressed himself, setting about his task through his study of Old Irish sources. What is perhaps most remarkable by today's standards is that he never visited Ireland, and it is questionable whether indeed he ever met an Irish speaker. His approach to the problem led him ad fontes; he travelled to libraries across Europe wherein were housed the earliest examples of written Irish. These were in the form of glosses, such as those found in Würzburg, Karlsruhe, Milan and Turin (mostly from the 8th century, but some in the so-called prima manus, from the 7th), in which commentaries in Irish on, for example, the epistles of Paul are found between lines and in text margins. Zeuss transcribed and interpreted these and other such examples and from his analysis he was able to lay out in Grammatica Celtica, for the first time, the grammar of the language. In his return to the earliest extant forms of the language, Zeuss was a pioneer; earlier in the eighteenth century the glosses had been identified as Irish but mistakes had been made in their interpretation. Zeuss brought to their study his modern training that enabled him to tackle the scientific study of any language. His reliance on the glosses is almost absolute, and he barely refers to any extant scholarship in Celtic, obviously preferring to build all his conclusions solely on the foundation of the sources. One scholar whose work in the field is indeed mentioned in the preface to Grammatica Celtica is John O'Donovan, whose copy of Grammatica is in the Academy’s Library. O'Donovan introduced the great work to the Irish public in a review article in the Ulster Journal of Archaeology in 1859 where he speaks of the 'scarcely credible' nature of what Zeuss has achieved, in order 'to show how much all future Irish grammarians owe to the vast and true learning, and indefatigable industry of J. Caspar Zeuss'. 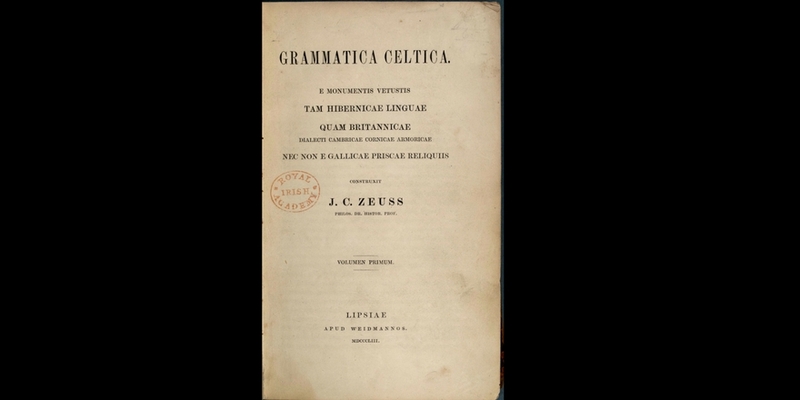 With the publication of Grammatica Celtica in 1853, Zeuss had established Celtic studies on an international stage, proving what his predecessors had only glanced at and suggested. O'Donovan was correct in his assertion that Grammatica Celtica would pave the way for further investigation into Irish grammar, and Rudolf Thurneysen's Handbuch des Altirischen, appearing in 1909 brought matters further along, and was translated to English by D.A. Binchy and O. Bergin as A Grammar of Old Irish in 1946. Furthermore, it is no exaggeration to say that the Royal Irish Academy's Dictionary of the Irish Language, and ongoing research in Irish philology and lexicography, owes much to the achievement of Zeuss and is part of his legacy. James Henthorn Todd, the Irish historian and President of the Academy from 1856-61 was an admirer of Zeuss, and had invited him to take an academic position in Dublin, which Zeuss had accepted and he had plans to travel here. Alas he succumbed to his long-endured poor health before being able to accept this accolade; the pulmonary tuberculosis that had claimed other members of his family before him now caused his own death. Todd spoke in his inaugural speech of the need for an authoritative dictionary of the Irish language, and this endeavour was finally undertaken in the early 20th century - and it continues in another form to this day, now under the studious gaze of Johann Kaspar Zeuss. Táimid go mór faoi chomaoin ag an Ghearmánach seo a tharraing gort chun míntíreachais a bhí á phlúchadh ag an fhiaile, gort inar fhás agus inar bhláthaigh an oiread sin de shaothrú scolártha, nárbh ann ach dá thaise murach é. [i] Vallancey’s assertions were thus characterised by John O’Donovan in the course of his review of Zeuss’ great work in Ulster Journal of Archaeology, Vol 7 (1859) 79-92.